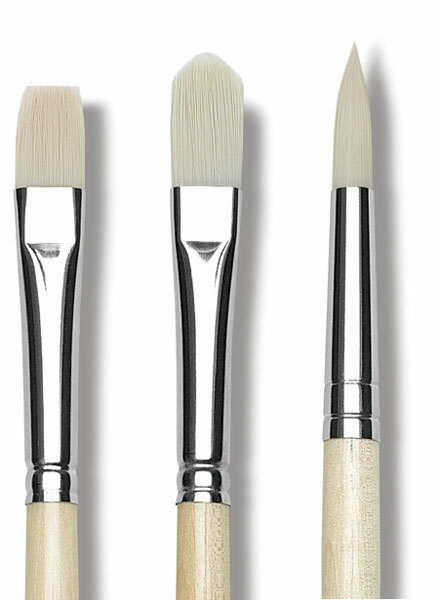 Shaped by heat after gumming to create an "interlock" effect, the bristles in Da Vinci Top Acryl brushes keep their shape after long and vigorous use. 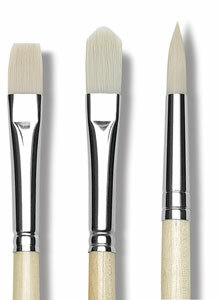 The bristles are extra stiff, with a precise snap that makes them excellent for use with heavy-bodied acrylics and oils. They're also a favorite of impasto painters who use thick applications of paint. 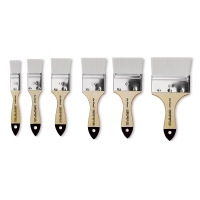 Top Acryl, Set of 10 — Da Vinci Top Acryl Series 7185 and 7785 brushes feature extremely resistant synthetic fibers, created especially for painting with thicker colors. 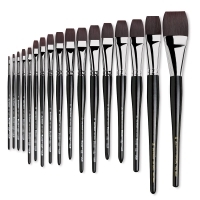 The set contains 10 brushes, including Series 7785 Rounds in size 1, 2, and 6, and Series 7185 Flats in size 2, 4, 6, 8, 10, 12, and 16.